Every company has a "culture" — the way they do business, the way they treat their customers, the way they fit into their communities, their attitude towards the environment, their philosophy about the future and so on. 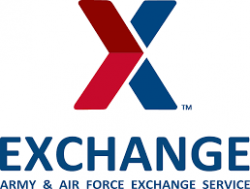 The Exchange, also known as the Army & Air Force Exchange Service, is a Department of Defense organization that provides tax-free shopping and services to an exclusive customer base of more than 12 million military members and their families. The Exchange is the 47th top retailer in the U.S. We operate 2,500 facilities on military installations, which include retail stores, restaurants, convenience stores, name-brand franchises and more. We also maintain an extensive Web presence that includes specialty online vendors, as well as more than 18 million items for sale. We go where they go in an effort to serve the people who serve us. Unlike other businesses, the Exchange gives two-thirds of its earnings to the Army, Air Force, Navy and Marines through Morale, Welfare and Recreation programs, which include bowling alleys, movie theaters, day care facilities – just to name a few. The Exchange is keenly aware that a diverse workforce makes us a stronger community. Of our more than 35,000 associate base, we embrace associates from all ethnic and social backgrounds. Because diversity has been an integral part of our company’s mission and critical to the organization’s success, it is interwoven into the fabric of our business. You do not have to join the military to work for the Exchange. Likewise, we are not part of the military nor are we a military organization. We are a part of the Department of Defense and we are a non-appropriated fund government entity. That means that we receive part of our budget (about 2%) from the U.S. government. The rest of our operating budget is generated from our own sales of goods and services.